OLED, or Organic Light Emitting Diodes, is the future display and lighting technology, that enables thin, efficient and beautiful displays. 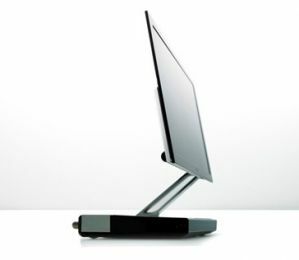 Back in 2009, rumors suggested that Sony is set to release a new OLED TV, called the KDL-ZK. These TVs were supposed to be available in 2010, and Sony have indeed hinted at larger OLED TVs at that time. Sony however later withdrew from the OLED TV market and the KDL-ZK never saw the light of day. In October 2007,Sony introduced the world's first OLED TV - the XEL-1. This first model is a highly priced (~2,500$), small sized (11") Television - more of a commercial-prototype than anything else. Sony only made around a thousand units a month, and stopped the XEL-1 production in 2010. Since May 2008, Sony has been working on their second OLED TV. 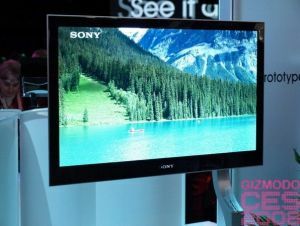 In 2008 Sony demonstrated a prototype 27-inch OLED TV prototype, and said that it is "awfully close" to release this TV. Sony followed the 28" OLED prototype has with a 21" OLED prototype - that featured a 1366x768 resolution and a 1,000,000:1 contrast ratio. Those TVs were only 1.4mm thick. As we said above, Sony withdrew from the OLED TV market in the 2013, and the KDL-ZK never saw the light of day.